I have a mixture of emotions to be finally told Cole will have a prescription for Epidiolex from Glasgow. I’m proud, happy, relieved, angry and guilty. I’m so happy for Cole to finally be able to access medical cannabis in the UK and especially in Scotland. I’m so grateful for everyone involved in our campaign especially Monique McAdams on behalf of East Kilbride Community Trust for starting the online petition #HelpColeThomson which has reached 14,406 people in only 2 months,to both MP Dr Lisa Cameron and MSP Monica Lennon for highlighting my sons story and our campaign in both West Minster and the Scottish Parliament. For everyone who shared, commented and shouted on Coles behalf I’m truly grateful. Everyone who fundraised and donated, this money will continue to support Parents of Hope. The East Kilbride News for publicly backing my fight for Cole and for helping us reach thousands every week and for sharing Coles journey for 6 years now. However the journey to get here has been tough and exhausting which is completely unnecessary and unfair. There are still hundreds of children and young adults some are part of our Parents of Hope group who are still waiting and have been for years. Some with children who stop breathing and turn blue every night due to seizures, who are too drained to fight this fight publicly. My fight started about Cole and will always be about him however our journey brought us to where we are today and what we now know cannot be forgotten. Cole is one of only 5 children in Glasgow picked out a hat, and 10 from the whole of Scotland to get Epidiolex until more is available in May. I have no doubt this is because I have been shouting about our pain and struggles…now after being told NO for nearly a year we finally get it. I will get Epidiolex in a few weeks and I pray this works for Cole because it’s all the UK have to offer it’s the only licensed medical cannabis for children with epilepsy in the UK. 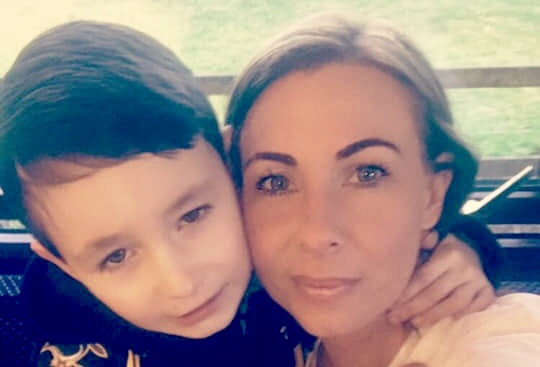 If this doesn’t work there’s nowhere to go here as my friend, Karen Gray is discovering, as she begs for her son to be given a medication called Bedrolite, already proved successful and life changing and already prescribed to children in England under private prescriptions. I want to continue to fight for all the other children waiting and also for there to be a much clearer route for already exhausted parents and for us to have options. Not to feel pressure to except the one thing on offer. Also I need to know there’s a plan B if Epidiolex doesn’t work for Cole. The medical cannabis product Epidiolex is CBD isolate not whole plant.